In 1992, Curtiss-Wright Nuclear, through its PermaSeat SP product line, introduced the first Safety-Related and ASME Code triple offset butterfly valves to the nuclear power industry. Today the triple offset valve design has been installed in almost every U.S. plants and plays a critical role in the safe and efficient operation of a nuclear reactor. 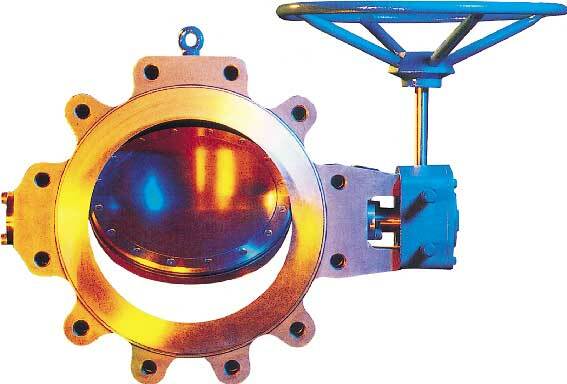 With over 450 installations in over 30 reactors worldwide, PermaSeat SP butterfly valves have proven to be effective and reliable in both modulating and isolation applications. 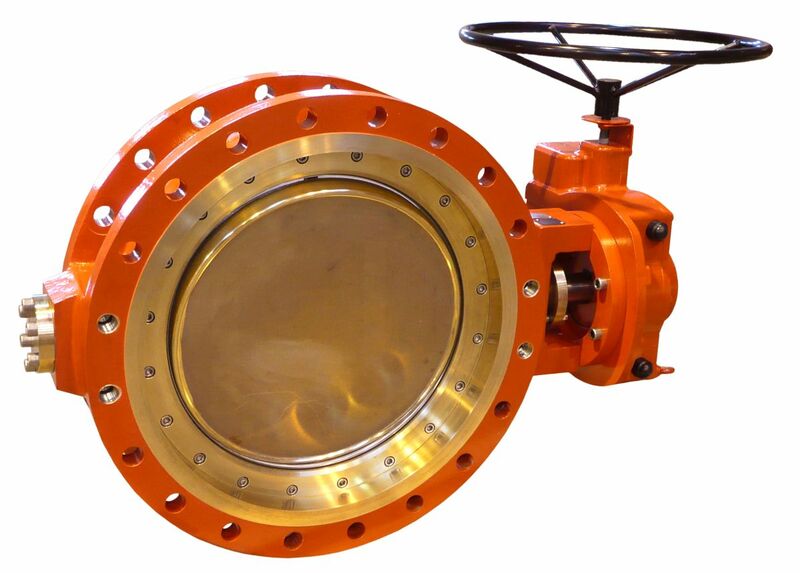 Beyond the triple-offset butterfly design, PermaSeat SP also provides large diameter butterfly valves (80" and higher), as well as both high performance and rubber-lined designs. 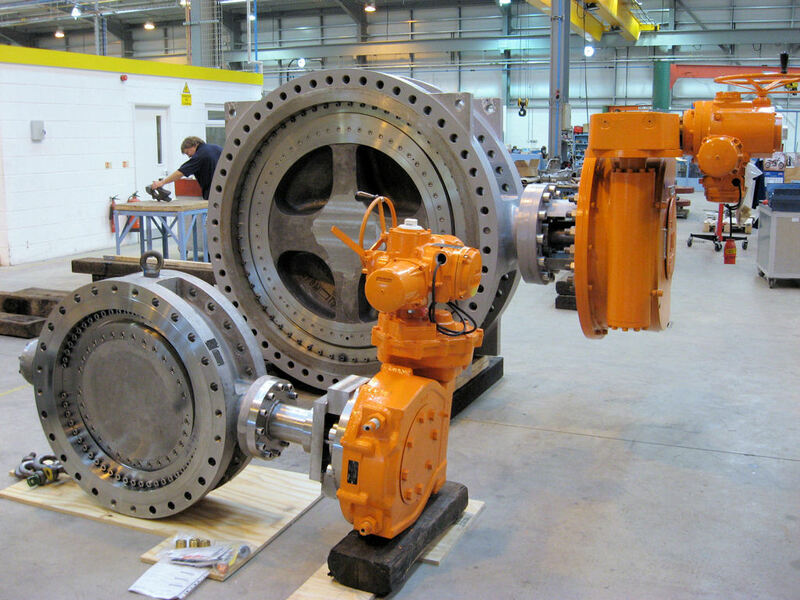 This extensive portfolio of butterfly valves is one of the largest in the industry. 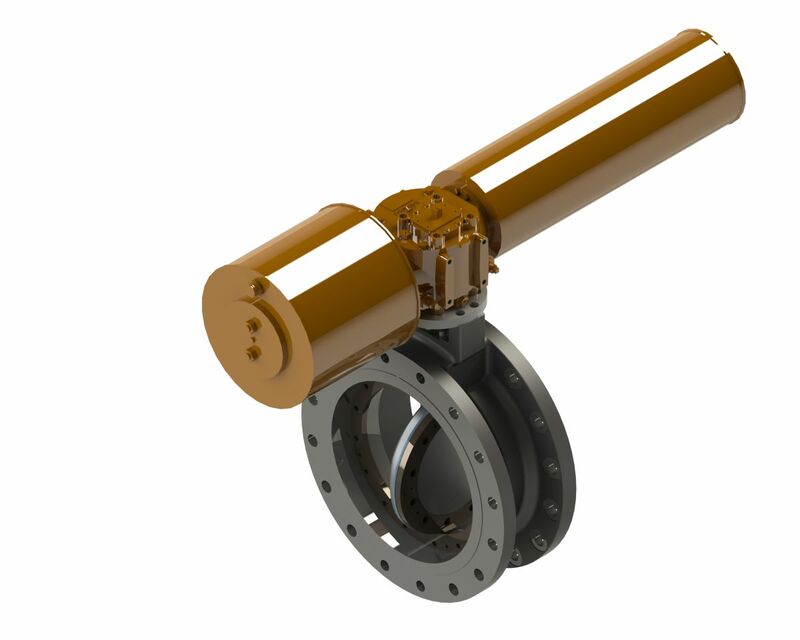 The PermaSeat SP TOSV butterfly valve is a dedicated triple offset geometry design. This particular feature eliminates the disc-to-seat rubbing condition, normally associated with high performance butterfly valves, which induces wear of varying degrees, even in metal seated versions. The offsetting of the shaft in two axis, when combined with the tilting cone / ellipsoidal segment means that there is complete removal of 'scuffing' and surface pick up during the full 90 degree movement. The seal ring, which is of laminated construction, uses the seat ring as the stopping point, eliminating separate mechanical stops. There is no need for critical settings for disc-to-seat contact to achieve required shut-off. 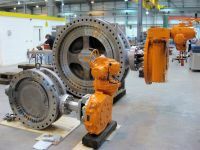 This is beneficial in situations where actuators and controls are fitted. When closed, the seat is bi-directionally tight, with a zero leakage rate in either direction. The seat sealing load is torque induced, thus when the disc movement reverses to 'open', the operating torque quickly reduces, due to the on / off contact action of seal to seat and swing clear action via shaft offsets. Since the seal action is 'contact' without any 'rubbing' action, then galling does not occur and so the same material can be used for both seal and seat. PermaSeat SP Resilient Sealed Valves are suitable for isolation and flow control applications and have a proven record for reliability over the past 30 years for applications in seawater cooling, circulating water systems, and condensate systems. The ease and flexibility of material selection enables both simple and arduous applications alike to be within the capability of this valve series. The valve is a bi-directional tight shut-off device incorporating a resilient seal mechanically retained around the periphery of the valve disc. The seal is available in various types of elastomers, the selection being dependent on the valve duty and working pressure and temperature. The seal seats against a metal face machined into the body of the valve. Positive shut-off is achieved without excessive interference between seat and seal ensuring maximum seal life and low seating and unseating torques. The E-Series has an ebonite lining which is a hard, natural rubber, bonded and autoclave cured to achieve maximum strength and adhesion. It has a corner locking overlap feature around the flange and shaft bores to maintain optimum stability. The seat contact area, against which the resilient disc seal ring locates, is fully machined to ensure consistently tight shut-off. In operation, there is a key difference when compared with other rubber lined valves. The ebonite is part of the structural rigidity of the body and the resilient seal is disc located. This is the element being compressed during sealing on closure. This eliminates dragging on the liner, which occurs on other valve designs where the disc is solid and the seal is made by compression of the liner. It is particularly effective in high-chlorine environments such as brackish water and seawater, where the natural resistance of Ebonite insulates the wetted portions of the valve body from corrosive attack by such aggressive media. The use of Ebonite in this application allows the use of Carbon Steel valve bodies, and actually makes them more corrosion-resistant than stainless-steel bodies in brackish water applications. 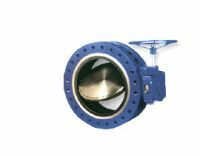 The PermaSeat SP T Series high performance butterfly valves have a double offset geometry design. This provides a camming act that minimizes wear between the seat and disc sealing interface during both opening and closing strokes, therefore extending the seal life of the valve. The shaft is of one piece construction with an anti-blowout feature external to the pressure boundary on the drive side, conforming to API 609. No portion of the shaft can be ejected from the valve as a result of internal pressure. This single piece construction also provides a rigid assembly, which prevents excessive disc deflection, maintaining a constant disc/seal contact that ensures bi-directional sealing at both low and high pressures. For ambient and low temperature applications the PTFE seal is rigidly held in the body and energized onto the disc by the secondary seat. For fire safe applications, the secondary seat extends to the disc periphery. In a fire situation, when the PTFE is burnt away, the secondary metal seat is designed to energize onto the disc and form a metal to metal seal in both directions. The PTFE seal can be quickly and easily replaced in the field without the need for special tools. Ratings: ANSI Class 150 - 300 lb. The PermaSeat SP C Series valves have a double offset geometry design. 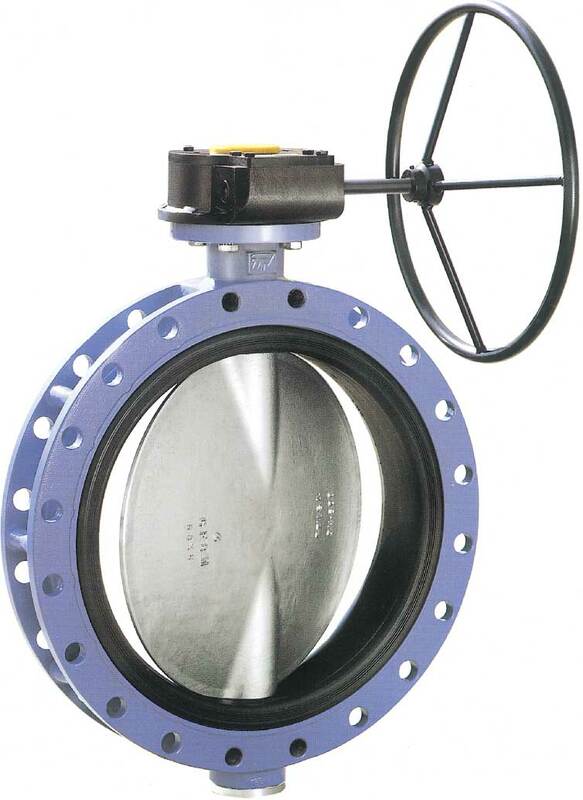 The C Series butterfly valve has an Elastomer seat that performs three main functions: (1) it completely covers the body, isolating it from the media, (2) provides the actual sealing of the media at the steam and disc, (3) and provides the seal between the valve and the mating flange. It provides bi-directional bubble tight shut-off by the interference fit between the disc and the seat. This interference is formed by machining the outside diameter of the disc slightly larger than the inside diameter of the seat. The standard elastomer material is EPDM with a choice of alternatives to suit the specific duty. 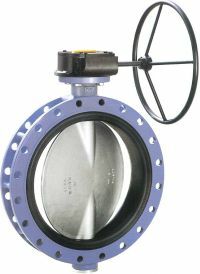 Metal to metal seated butterfly valves are available with the C Series for applications that demand operating temperatures ranging from -310ºF to 1000ºF. A single piece shaft is splined onto the disc. Maintenance is quick and easy and can be done onsite without the use of special tools.